My fondness for speedruns has been well documented. And I’m just as fond of role-playing games, so the ongoing RPG Limit Break marathon is right up my alley. Like the biannual Games Done Quick marathons, RPG Limit Break is a charity event in which dazzlingly talented players break games over their knees in an effort to complete them as quickly as possible. The entire affair is streamed live on Twitch (and embedded below), and onlookers are encouraged to donate money to unlock bizarre or humorous incentives. This time around, the money raised by the event is going to the National Alliance On Mental Illness, an organization dedicated to supporting people living with mental health issues in America. RPG Limit Break, as the name suggests, focuses on role-playing games, making it a completely different beast from Games Done Quick. Where GDQ leans toward short, input-heavy action games, the titles tackled at Limit Break are so massive that their runs are measured in hours. To speedrun games that enormous, players need all the skills necessary for shorter games—encyclopedic knowledge, the superhuman dexterity required to pull off unusual maneuvers, a heaping helping of luck—plus a whole host of other abilities, like incredible memories and endurance. Some of the runs last so long that players must struggle against basic biological barriers like exhaustion and hunger. This year is a particular treat for me, because two of my all-time favorite games have already been run. 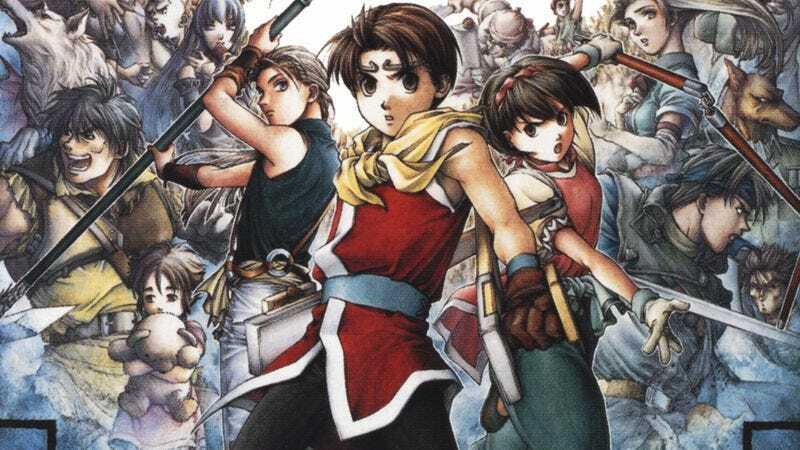 Just after midnight on Tuesday, May 10, Omnigamer finished Suikoden II in six hours; the game typically takes 60. Omni’s run was practically flawless whenever skill was called for, but he encountered some devastating bad luck in a purely chance-based challenge. At one point, you find yourself in need of a boat and have to win the services of a sailor in a game of dice. According to Omni, it’s considered poor luck if you have to play this mini-game three times, but during this run he lost about a dozen times, losing 10 minutes in the process. The viewers were tickled by this streak of terrible luck, and donations poured in to name the game’s castle “Tai Ho” in honor of the time-wasting seaman. On Thursday morning, May 12, NoWorries and BOWIEtheHERO tag-teamed Shining Force II over the course of a six-hour session. This run relied equally on glitch exploitation, by tricking the game into allowing characters to travel further than they should be able to, and creative manipulation of character stats to turn one party member into an unstoppable killing machine. Although the run was a treat and the runners were wonderfully knowledgable about the game, the real fun of this play-through was that viewers donated significant sums of money to give the cast fast food-themed names. This turned Shining Force II into the story of Arby’s and his friends Wendy’s, In-N-Out, Five Guys, Joe’s, Crab, and Shack. RPG Limit Break will be streaming until the morning of Sunday, May 15, and plenty of barn-burning runs are still to come. Final Fantasy VI is scheduled for tonight, May 13, at 6:20 p.m. Central, followed immediately by Chrono Cross and the under-appreciated Nintendo DS game Radiant Historia. The grand finale on Saturday night, May 14, is going to be Kingdom Hearts II. If you have any interest in speedruns, RPGs, or charity, there are still plenty of great runs to come, so be sure to drop by the channel and consider donating to a good cause.